Ryota “Kazunoko” Inoue has long been considered one of the greatest fighting game players of all time thanks to his ability to pick up almost any game and excel. Over the last decade, Kazunoko has found success in everything from Street Fighter to Guilty Gear, but his champion-level skill in Dragon Ball FighterZ might be his most impressive feat to date due to the game’s sheer depth of talent. Everyone and their mom seems to have started competing in the anime-inspired three-on-three fighter, including community legend Goichi “GO1” Kishida and genre wunderkind Dominique “SonicFox” McLean. That makes Kazunoko’s accomplishments that much more extraordinary. As the two players sat down to play their broadcasted match, commentators Chris “Hellpockets” Fields and Sami “Samifish” Nash called attention to the disparity, referring to Trinh as a “secret killer” in comparison to Kazunoko’s obvious status as a Dragon Ball FighterZ god. 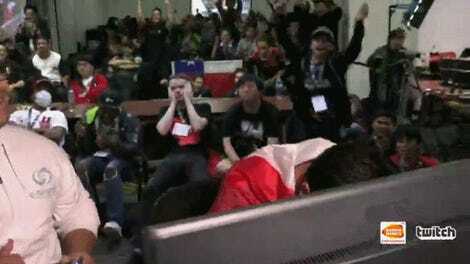 But the fighting game community (and also, human beings in general) loves an underdog. After Trinh’s surprisingly close loss to Kazunoko in the first game, the commentators adjusted accordingly, factoring in their newfound esteem for Trinh’s clear skills. The fighting game community is different from most traditional esports in that scenarios like Trinh’s play out all the time. Unlike games like League of Legends and Overwatch, which are team-based games with stratified leagues that don’t have open pools for “anyone” to enter, fighting game competition tends to be all about giving everyone a chance to compete on an even playing field. 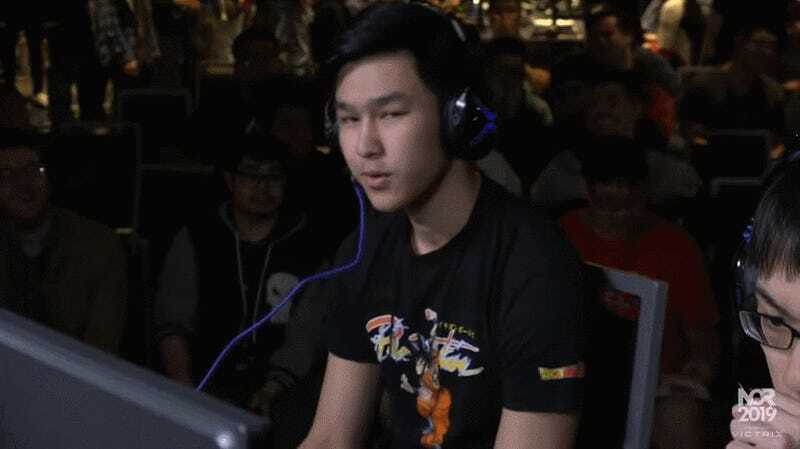 To paraphrase community veteran James Chen, any player can enter any grassroots tournament and potentially get matched up against the fighting game equivalent of Michael Jordan or Kobe Bryant. This in turn gives us stories like the one that played out at NorCal Regionals, where someone with zero past showings like Trinh can attend an event and send the reigning world champion to the losers bracket. As history has shown, it’s futile to deem anyone “the best in the world” with our limited scope of the competitive landscape, and it’s also exciting to think that someone out there, practicing online and unknown, is just one small tournament entry fee away from greatness.